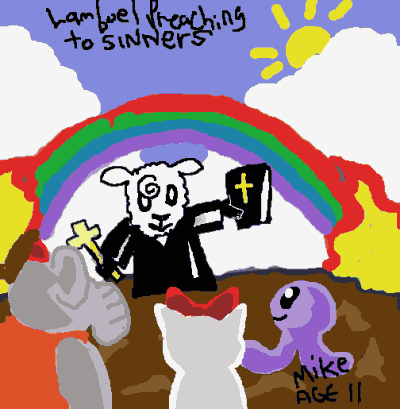 Keith, age 9, colored one of my Coloring Tracts! 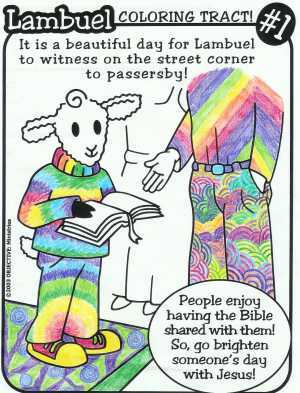 See how when I share the Bible, I share the colors too? 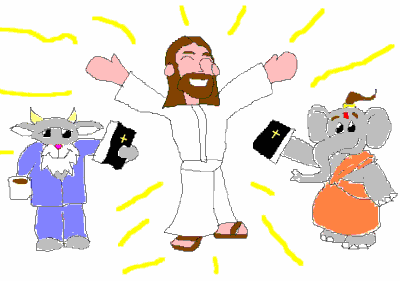 Go and make someone more colorful with the Bible! to purple octopuses! I can't wait! now that they are Jesus's friends? 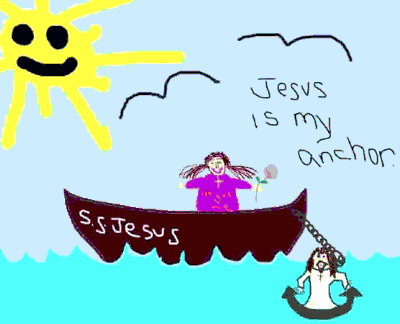 tease me alot but Jesus makes me feel better." 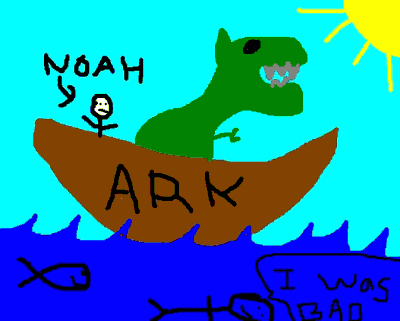 Look how excited T-Rex is to be riding on Noah's Ark! He can see my house from up there! 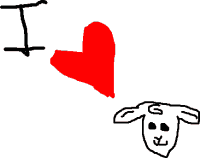 frisbie and we love each other! 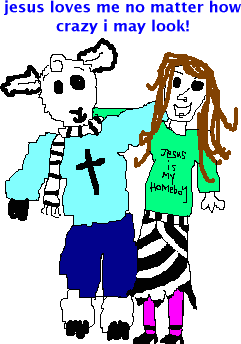 i love jesus and lambuel!!" Would you like to play frisbie with me? Ask your parents if you can! 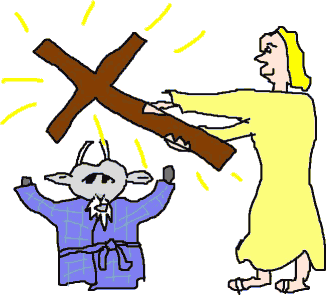 Judy drew Jesus showing the Cross to Mr. Gruff! Look how happy Mr. Gruff is to see it! 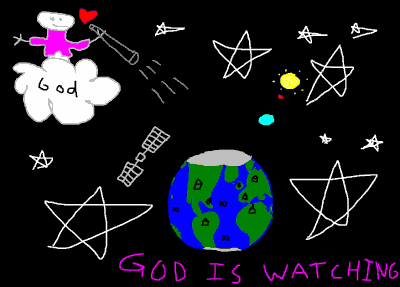 Is this how the adults handle Atheists? crazy clothes! I am wearing bicycle pants and a zebra scarf! I wonder what Ruby would think? 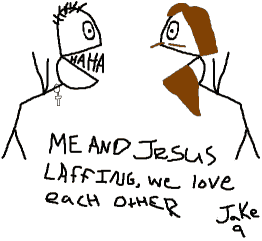 Jake, 9, drew Jesus and him laughing together! on the Cross because of His Love for us! 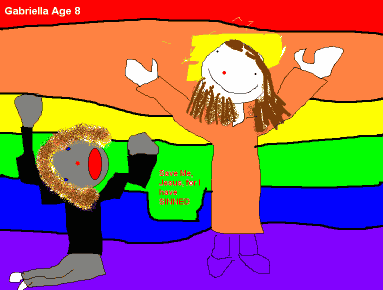 Gabriella, 8, drew Jesus in front of a rainbow! 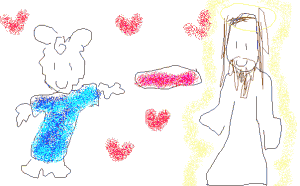 Rainbows are Jesus's way of saying "I love you!" 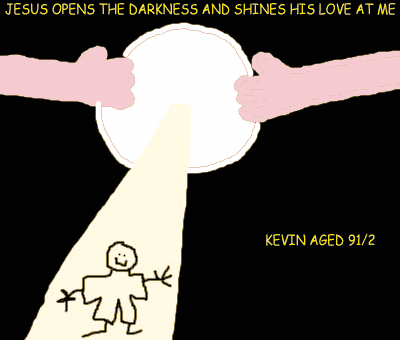 Kevin, 9 1/2, drew how Jesus's Love makes the darkness go away. If you ever get afraid of the dark, just pray to Jesus!